Hall of Fame pitcher Steve Carlton will be in town this weekend to sign autographs at the OC Dugout in Anaheim on Saturday, September 5th. Go here for information. He'll be in the store signing from 10:00 AM to 11:30 AM. I love this pic of five former Dodger players hanging out with the organization. 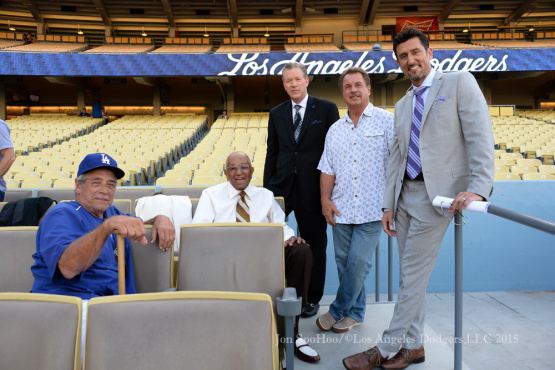 From L-R: Steve Yeager, Don Newcombe, Orel Hershiser, Ron Cey and Nomar Garciaparra. Photo above via Jon SooHoo/LA Dodgers 2015. Wieland made one start for the Dodgers, taking the loss on May 6 at Milwaukee, and went 10-5 with a 4.59 ERA in 22 games (21 starts) with Triple-A Oklahoma City this year. The 25-year-old has appeared in 10 career big league games (eight starts) with the Dodgers and Padres (2012, 2014), going 1-5 with a 5.98 ERA. He was acquired by Los Angeles from San Diego in a five-player trade on Dec. 18, 2014, which also netted the Dodgers catcher Yasmani Grandal. This is a classy thing to do. Via Jesse Rogers at ESPN, "Dodgers send rubber, dirt from mound to Jake Arrieta to honor no-hitter." "Really nice gesture," Arrieta said of the Los Angeles Dodgers. 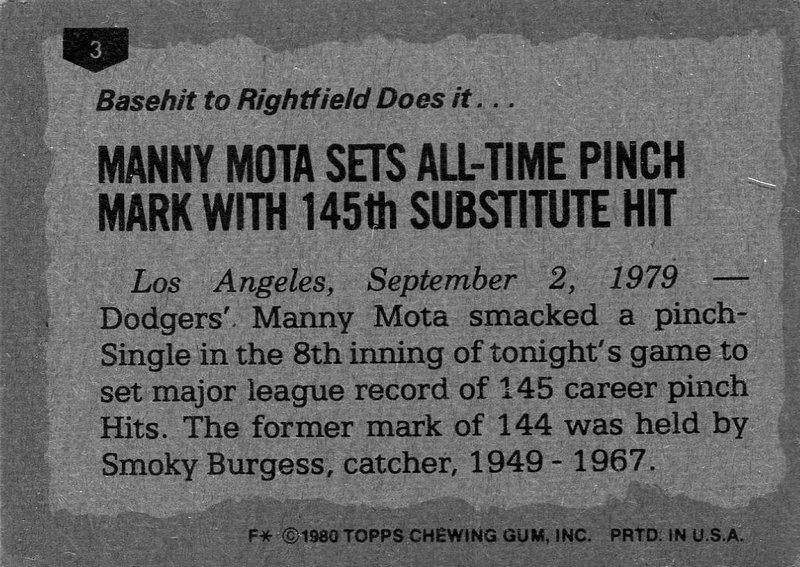 "They sent a bucket of dirt from the mound, and they dug up the pitching rubber, which weighed 60 pounds. That's something I'll cherish as much or more than anything I've been given throughout the process." Via Mark Saxon at ESPN, "Dodgers bullpen is getting its act together fast." "People just, I'm sorry, talk s--- about us," Jansen said. "They just don't understand this game sometimes. You can ask the hitters. They're going to go through bad streaks. You're going to go through bad streaks. Since the beginning, I told everybody that I like this bullpen. The guys that we have are pretty special." That Pederson home run off Bumgarner last night was like redemption. Hopefully it's a big step in the right direction. Via Steve Bourbon at MLB.com, "Pederson shakes off slump with big fly." "I'm just trying to have some more rhythm and stay calm. Just nice and relaxed. See the ball and hit the ball. It sounds so simple but it's not," Pederson said. "The adjustment this offseason was to make the barrel more upright to be consistent. At the start of the year it was good. But you lose things, go down some wrong roads, struggle a bit and you adjust. Like I said, it's a learning process." 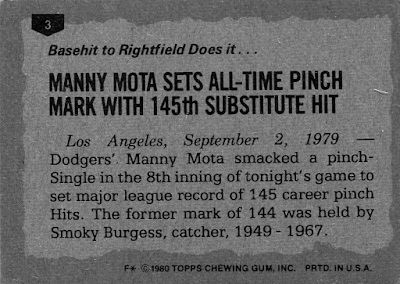 Paul Lukas at UniWatch shares his most recent flea market find, and it's really strange... and awesome... but mostly strange. Check it out here.